It’s the first day of our Fall/Winter ’15 photo shoot, which means the past couple of weeks have been all about finishing touches. 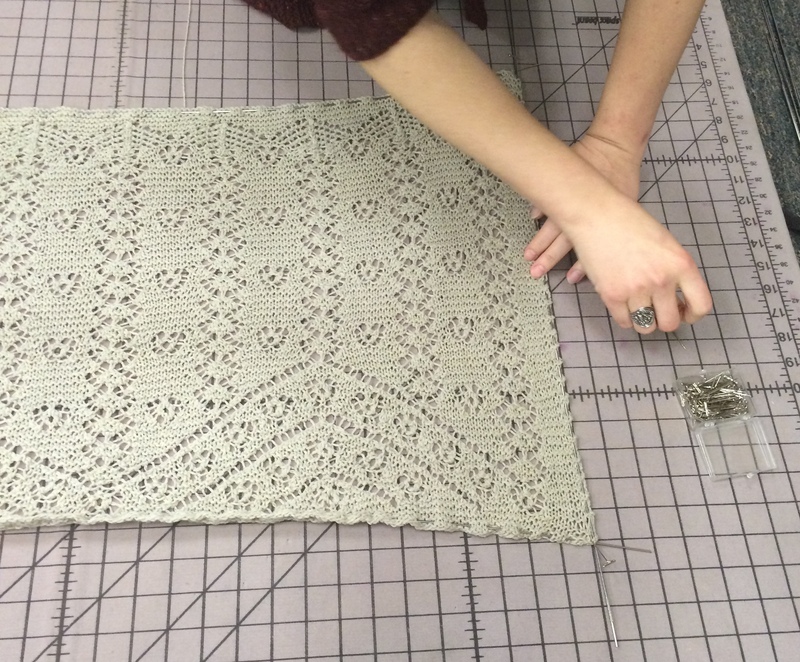 One part of the process that is especially important is wet blocking. I thought I knew how to do it, but the girls in the office gave me a few pointers to achieve my ultimate blocking potential. 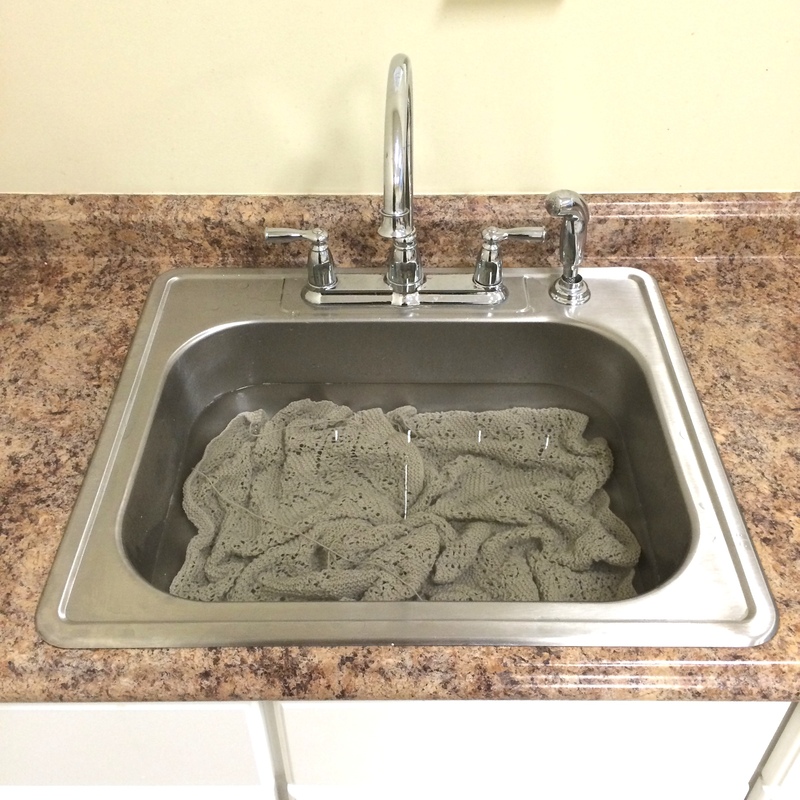 Gently squeeze out the water from your knit. 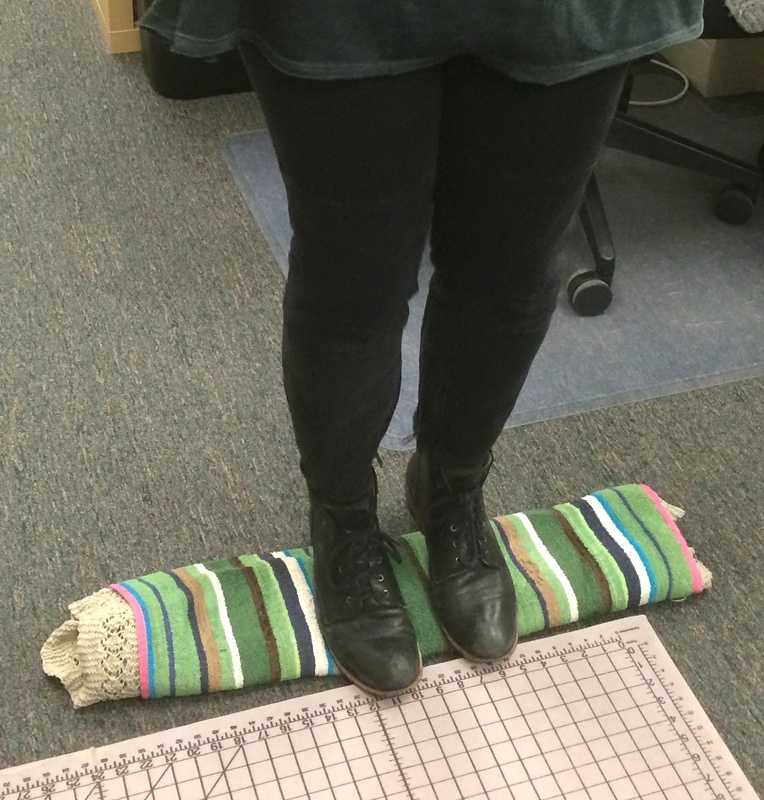 Lay the piece out on a beach towel and gently stomp out any of the excess. You want your piece to be damp but not soaking wet. 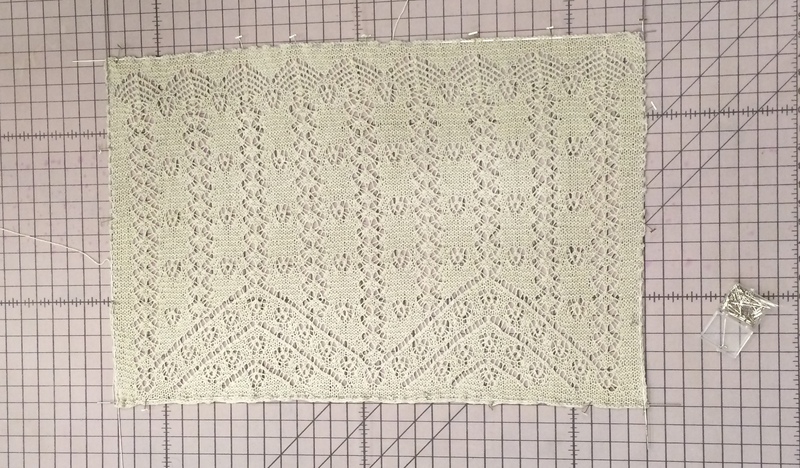 For lace, blocking wires are a great way to to lay out your piece to dry evenly. 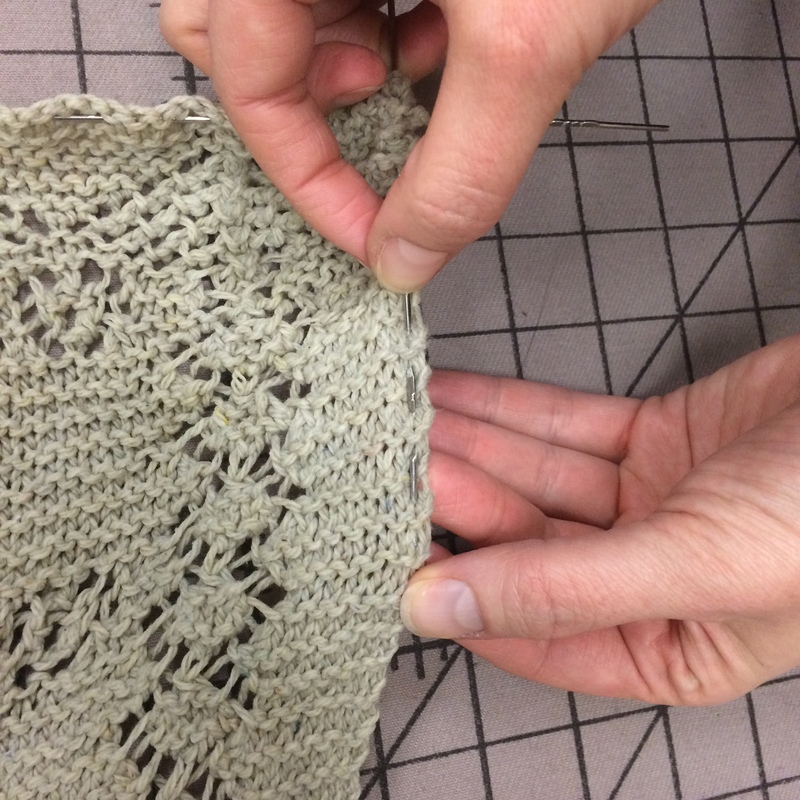 Weave the long straight wires in and out of the edge of the lace fabric. Try to stay in a straight line. Weave wires along all the edges of the pieces. 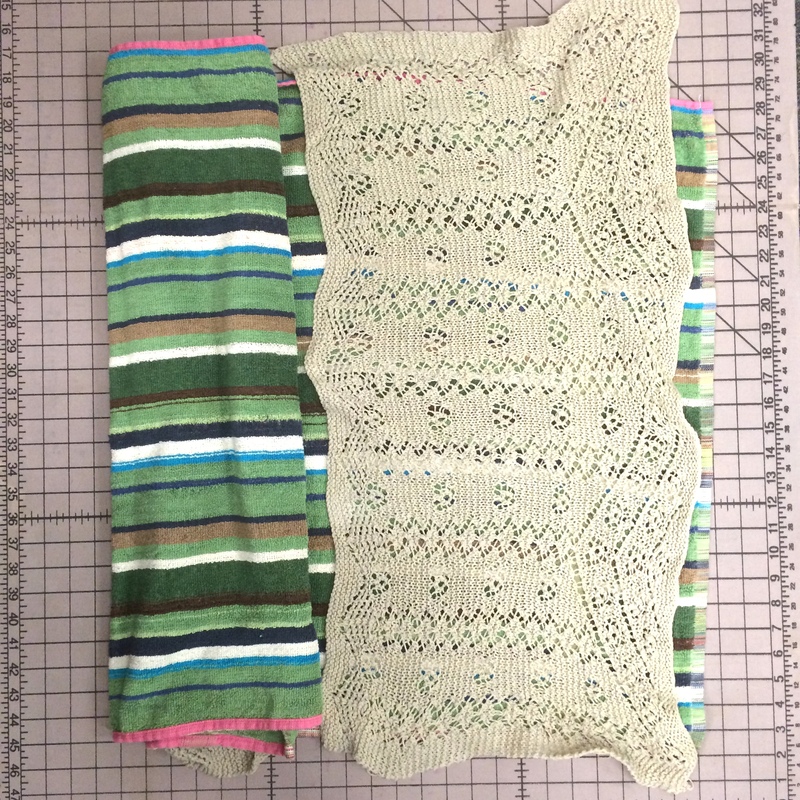 Using T-pins, begin to gently stretch and pin the knitting in place. Leave the piece to dry and that’s all there is to it! P.S. 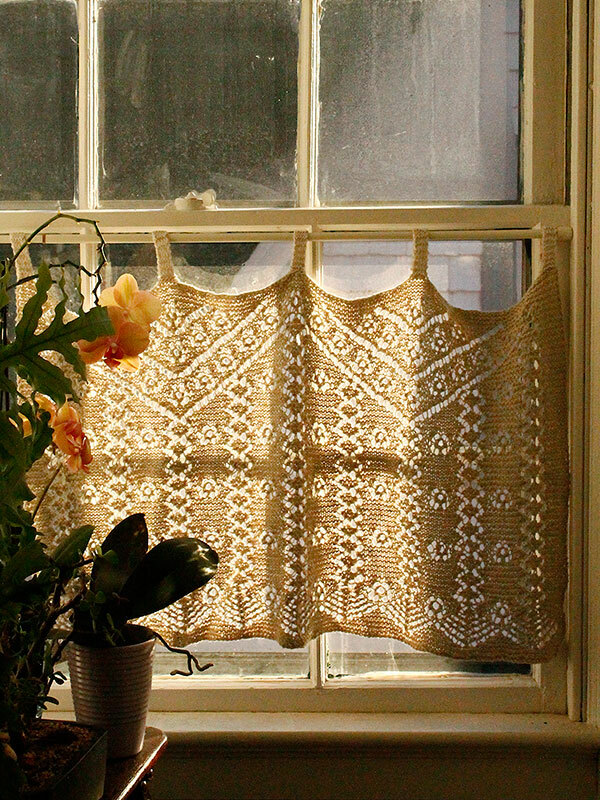 All the images were taken while blocking Christine’s Curtains, a free pattern available on our website and Ravelry.